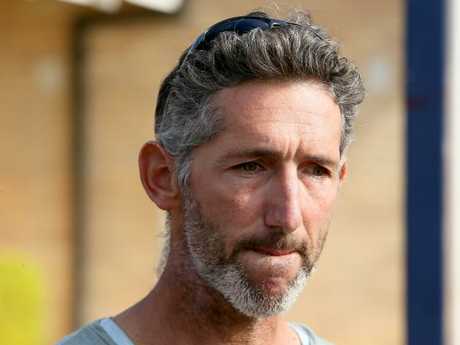 FORTY-eight hours after he was told his four children had been murdered in their beds, their heartbroken father Aaron Cockman faced the cameras and speculated why the brutal shooting, Australia's worst since Port Arthur, happened. Speaking to media yesterday, a visibly shattered Mr Cockman suggested his children's grandfather Peter Miles did what he did to "fix the whole problem". 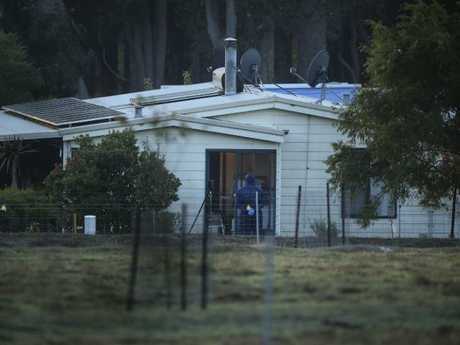 Mr Miles, 61, is suspected of murdering his wife Cynda, their daughter Katrina and her four children before turning the gun on himself at their rural property in Osmington, Western Australia. Katrina was found in bed with her eight-year-old son Kayden and their other children Taye, 13, Rylan, 12 and Ayre, 10 were found in their own beds all with gunshot wounds. Katrina Miles and her kids in a family photo with Cynda and Peter Miles. Mr Cockman suggested the Miles family, specifically Peter, were struggling to cope with the news that one of his children Neil was extremely sick. It's understood Neil, one of three children born to Cynda and Peter, is waiting for a kidney transplant and has severe "kidney problems". Katrina and Neil were the last two surviving Miles children after it's believed their brother took his own life around 10 years ago. "I thought if something happens to Neil, Kat will not survive this one, she will not be able to lose another brother ... I didn't think about Cynda and Peter. There's no way possible he [could] lose another son." 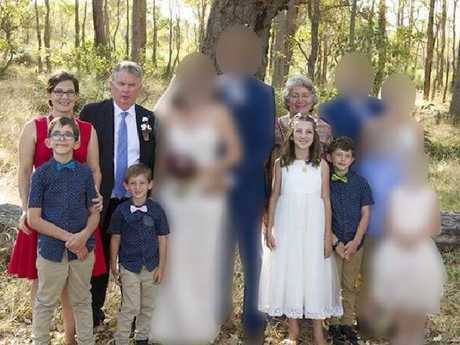 Mr Cockman suggested his children's grandfather "knew what he was doing" when he killed six of his family members. "Peter has been trying to hold it together for a long time. He's just thought ... I can't live anymore, so this is it for me. But I need to take out everyone because that will fix the whole problem and he's fixed the whole problem," Mr Cockman said. Earlier in his conversation with a reporter, Mr Cockman said he was "tremendously sad" but not angry about losing his whole family to the shooting. "Anger will destroy you. I'm tremendously sad but I'll get through this," he said. The bereaved father also said he still loves the man who took away his four children. "I still love who Peter was and as I said, if it wasn't for him, I wouldn't have Katrina, I wouldn't have my kids so it's not some random guy off the street that has taken them from me. "He gave them to me and now he's taken them away, if it had to happen, there is no better person than that. I wouldn't want some random guy off the street doing what happened. "The reason I'm standing up is so that, people everywhere, and people who know the family, know that I don't feel hatred," he said. Speaking on ABC radio this morning, West Australian Police Commissioner Chris Dawson said Mr Cockman was "entitled" to make a statement. "He made a personal decision to talk and he can say what he wants. We are supporting him and the broader families to ensure they get the professional assistance they need," he said. "No one can underestimate the trauma and the grief here, he did want to make a statement and he's entitled to do that." 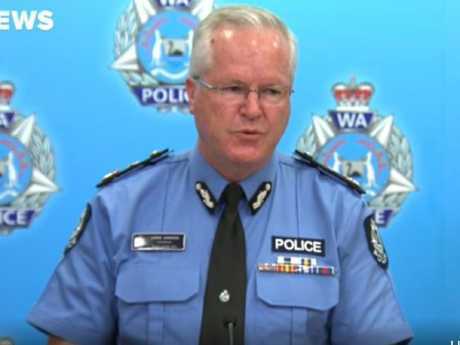 WA Police Commissioner Chris Dawson said Mr Cockman can “say what he wants”. 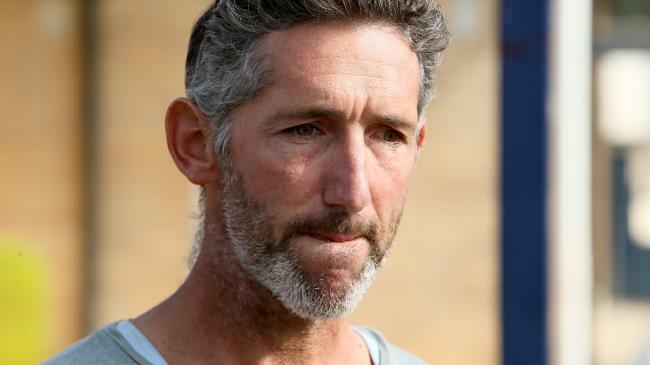 In the lead-up to last week's tragedy, Mr Miles had been looking for work and a number of people in the Margaret River community have suggested financial hardship might've played a role in his decision. Police have declined to suggest the family had financial problems or if they played a part in the shooting. The grandfather was well-known in the Margaret River area as a farm manager and handyman and had previously worked at the Margaret River High School farm. In a Gumtree ad posted last Wednesday, Mr Miles said he "welcomed all inquiries" from people who might be able to give him work. "I have over 30 years' farming experience and over 12 years' vineyard experience. I have extensive handyman abilities and experience with a wide variety of farm equipment, can repair fences, and tidy up the property from storm damage," he wrote. "I have lived in the Margaret River area all my life and welcome all inquiries." Mr Miles was looking for work before the shooting. Picture: Michael Wilson, The West Australian. In February, Mr Miles' wife Cynda also made a public Facebook appeal for her husband. Posting a photo of his business card, Mrs Miles said her husband would "love to take care of your list". "I can highly recommend this guy to get all your farm/small property work done! :) He has over 40 years experience in repairing and maintaining, looking after animals, tractor work and fencing. He would love to take care of your list of small and large jobs and has a range of tools and equipment available to work with," she wrote. Mrs Miles' post was later shared by a Margaret River farming Facebook page who wrote, "Need a hand on your farm? Peter Miles is a legend". A neighbour who claims he spoke to Mr Miles the day before the shooting said the 61-year-old sounded "strange" when he called him about a job. "[He was] just not someone who I would have thought was keen to find a new client or customer," neighbour Richard Dossier told 7 News. "He didn't seem enthusiastic if you know what I mean?"